The XC90 doesn’t need any introduction. It is undoubtedly one of the best selling cars made by Volvo. With its history starting from around 12 years back the model has commendably proved its mark in the field of safety, luxury and performance. 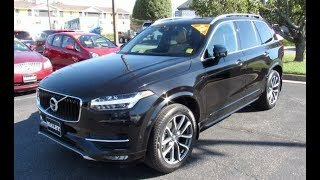 Let us have a look at the review of Volvo XC90 2016 to know more about this new model adding to the line-up. As one can expect, the interior of Volvo XC90 2016 is both luxurious and gorgeous. Wrapped in soft Nappa leather, cabin also holds wooden trim in form of slabs of flamed-birch pattern while the gear lever is made from crystal. Apart from its luxurious looks, there is lots of space inside the Volvo XC90 2016 for its passengers and same goes with the comfort level also. Talking about space, the last row (which is the third one) can comfortably occupy passengers with height of up to 5’7”, thanks to its theatre style seating arrangement. Due to this seating arrangement the front portion, that is the road, it is clear to passengers seating till the last row. Thus in all we can say that the interior of Volvo XC90 2016 is spacious, luxurious and comfortable. 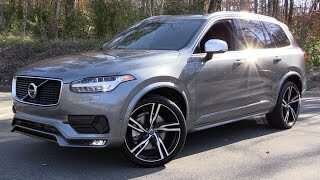 The exterior of Volvo XC90 2016 is far ahead of its predecessors and believe me; you can’t resist appreciating the new appearance. Starting with the front fascia it has a newly designed grille amidst the ‘Thor Hammer’ shaped slender headlights. The headlamps come integrated with LED daytime running lights. Beneath the set up is newly configured air dam featuring a massive air intake highlighted by chrome intakes. In the entire front end looks aggressive and sportier with the taller and wider grille and the muscular creases. Moving towards the rear end changes keep the same intensity with the new set of taillights and revised bumper that incorporates dual exhaust configuration. 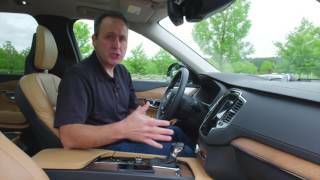 Thus rounding up the exterior details of Volvo XC90 2016 I would say it’s superfluous and mesmerizing. Beneath the hood of Volvo XC90 2016 are five drivetrain options in 2.0 liter displacement; first is D5 Twin Turbo Diesel generating total output of 225 hp and peak torque of 470 nm; second is a D4 Turbo diesel generating 190 hp and 400 nm while third is a T6 Turbo gasoline with 316 hp and peak torque of 400 nm. The fourth one is a T5 Turbo engine producing 254 hp and peak torque of 350 nm and the last one is a T8 hybrid engine producing total output of 400 hp and peak torque of 640 nm. 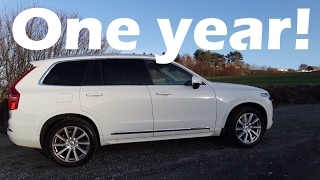 The performance figures of Volvo XC90 2016 are yet to be shared but we expect them to fulfill needs of all sectors and keep the company’s legacy intact.